Well, not much posting on the blog recently, I’m blaming the return (at long last) of the Great British summer! We had sun, and 25C plus heat, and everything… it was amazing! Remember it so you can tell your grandkids about it! 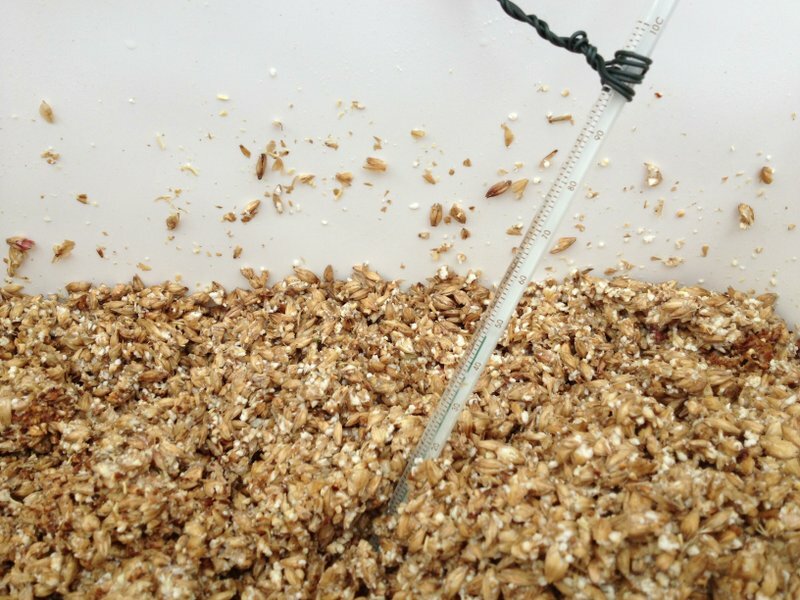 Fortunately the brewing has not had the same break for the summer and has continued a pace. 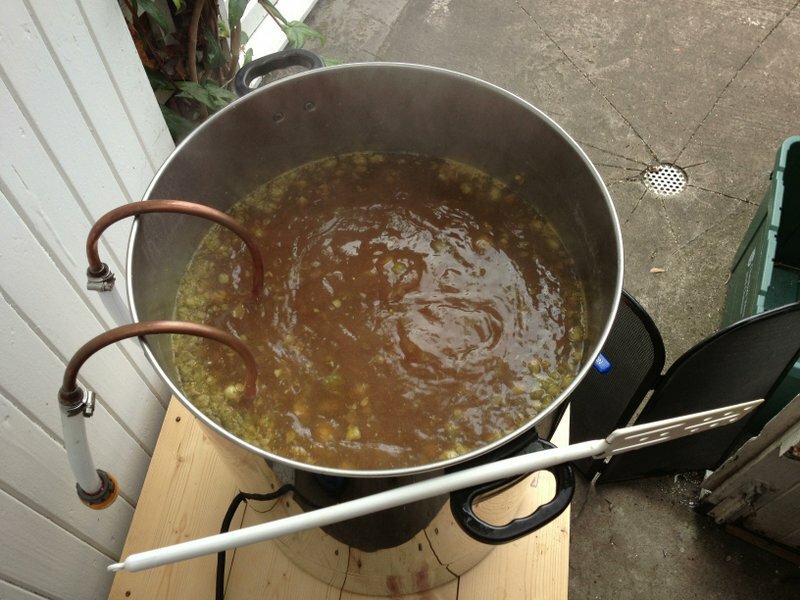 Brewday 12 was to be an Imperial IPA. Also known as a Double IPA this is a high gravity, high ABV and highly hopped monster beer. I can’t wait! The 6.5kg of Maris Otter provides a good base to push up the gravity to fit the style, and this might appear to be an over-complicated Malt bill for such a highly hopped beer, however the flavours from the Malts are there to try to counter balance the bitterness and aromas from the hops. 240g of Hops in a 5 gallon batch is a lot to balance out! 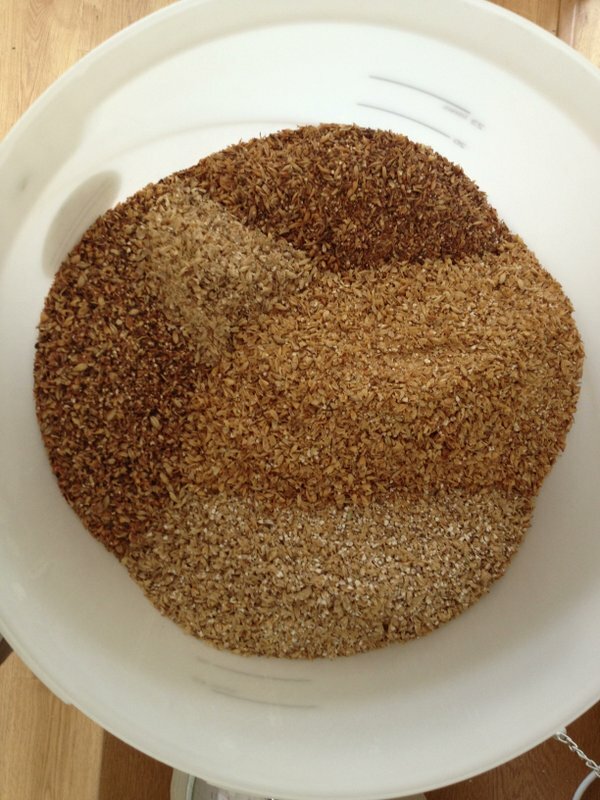 Also for this brew I would be using two packets of Nottingham Ale Yeast. With a target OG so high you really need to use a specialised high gravity yeast, or over pitch a standard ale yeast to give it a chance! Apologies for the lack of photos in this brewday. I blame the sun again! Boiling almost complete. 10 minutes hops just added. Overall this was a really uneventful brewday, I love it when it all goes to plan! Finishing volume was just under 25 litres, and this was transferred to the fermenter with an OG of 1.074 (target 1.072), not bad! 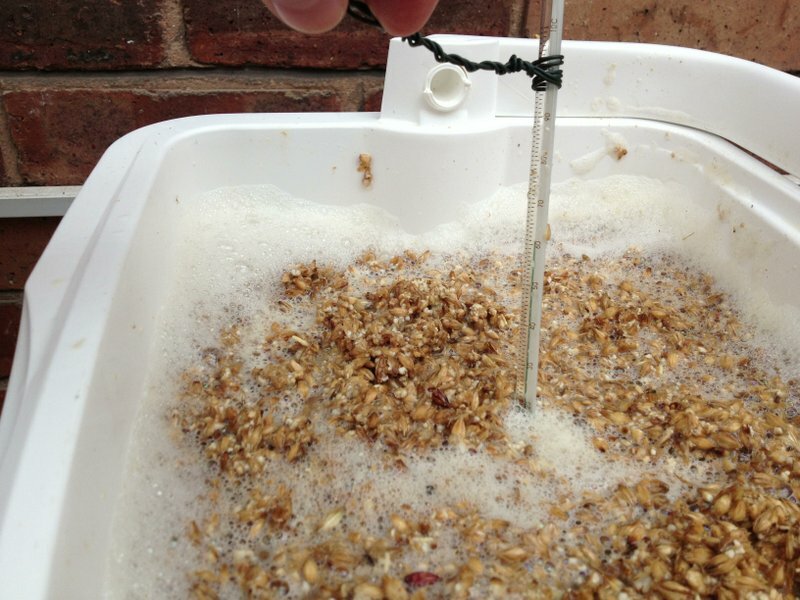 After two weeks fermenting and a further two weeks dry hopping the FG was stable at 1.016 (target 1.018), not bad again! All this target beating brewing left me with an overall efficiency of 80% and more importantly and ABV of… 7.6%! Boom! So much time has passed since this brewday that by the time I finally write it up I have already opened the first couple bottles of Imperial IPA and although I am probably a little biased, this is by a long long way, the best beer I have made so far! Definitely one to brew again, and to brew again soon by the looks of the bottle store this morning! Cheers!